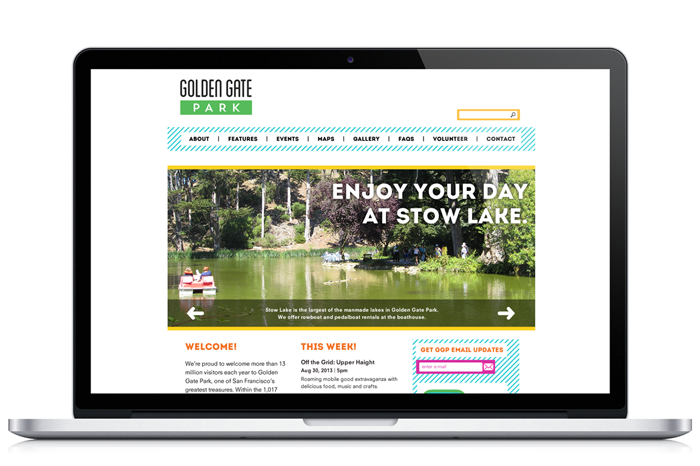 Golden Gate Park website visual design & branding. Golden Gate Park is the 5th most visited city park in the U.S. (more than 13 million visitors per year). It features gardens, museums, lakes, trails, cultural venues, and hosts festival & events throughout the year. 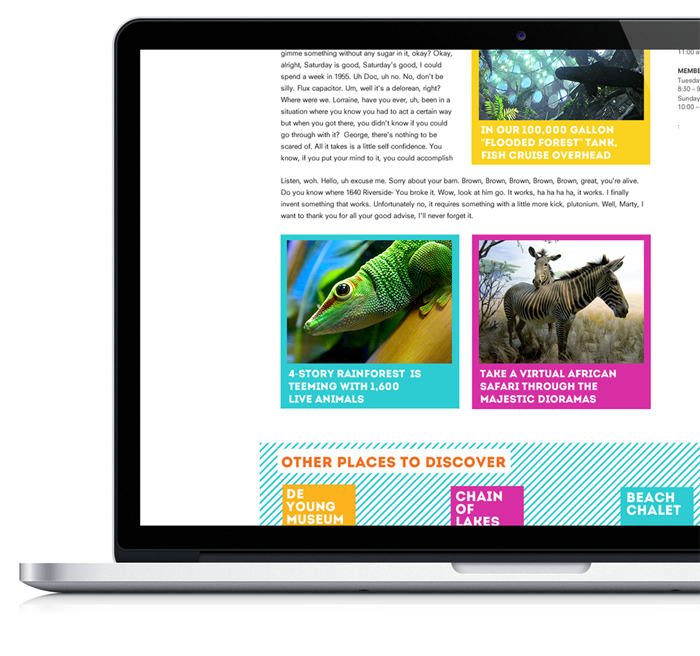 This personal project was created to develop an official website for the park. 1. Target tourists & locals alike ­— including families, nature lovers, art & science appreciators, exercise enthusiasts, and everyone in between. Through a competivie analysis, I concluded that the websites I researched were bogged down by too many sections and overcrowded by the amount of links. I decided to create a strong grid based layout with clear sections to make the wealth of information more navigable. My concept was to present Golden Gate Park as an exciting place to visit & a place to Explore & Discover new adventures. To convey this, I used playful display type, bright and bold color palette, simple/geometric/sharp elements and clear, vivid images.